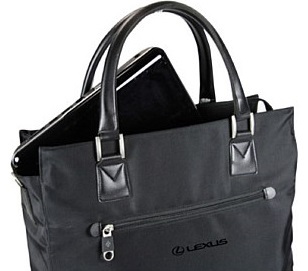 Providing security and style, the black Luxury Laptop Bag has zippered pockets both inside and out. 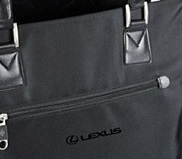 A subtle Lexus logo sits below the outer zip. It’s made from high quality fabric with matt silver fittings and leather look trim. Size 400mm x 130mm x 360 mm.